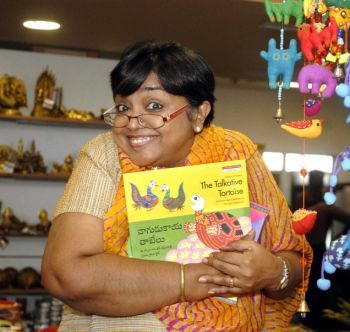 Jeeva Raghunathan, Children’s Storyteller from Chennai at Mother Earth near Domlur in Bangalore. Bangalore 15/11/2010 : Jeeva Raghunathan, Children’s Storyteller from Chennai at Mother Earth near Domlur in Bangalore. I am Teacher Librarian at Ecole Mondiale World School, Mumbai, Juhu. This is to invite you to participate in our Literacy Week 2018 to be held from 19th to 23rd March, 2018. Your storytelling session last year was very engaging and exciting for our students. We shall be glad to have you this year as well. Please do let us know your availability.